Beijing is a city that has served as the capital of China for over 800 years, which means there are a lot of things to see. Apart from the “must go” places, which cannot be left out of any guide book , there are other things you should see if you're staying for a longer period of time. The Forbidden City (故宫; Gùgōng): The Forbidden City, or The Palace Museum, was originally built in the Ming dynasty and rebuilt or extended several times since then. It served as the residence of the emperors of the Míng and Qīng dynasties. According to some sources, it is the largest palace complex, covering an area of some 74 hectares, measuring 960m length in north-south and 740m in east-west direction, with 9999 buildings inside the walls, which is also surrounded by a moat for extra protection. It is a part of the World Heritage since 1984, and definitely one of the most obvious “must see” sites in China. The Palace Museum is located in the middle of the city, North of Tiananmen. It is possible to take the subway and get off at either Tiān’ānmén Dōng or Tiān’ānmén Xī, but the north gate is only a 15 minute bike ride from the Hutong School office. Admission is 20 CNY if you have a student card, and 60 CNY if you don’t. The Temple of Heaven (天坛; Tiāntán): The Temple of Heaven used to be the place where the emperors went to worship the Heaven, and has become a tourist symbol of China by now. According to the Chinese, the emperor had the “Mandate of Heaven”, which meant he got his power from Heaven, and the only thing that could take away his power was also the Heaven (which is what happened at the fall of the dynasties). Hence the only thing having more power than the emperor was the Heaven itself, that is why even the emperor had to worship and offer sacrifices for it. 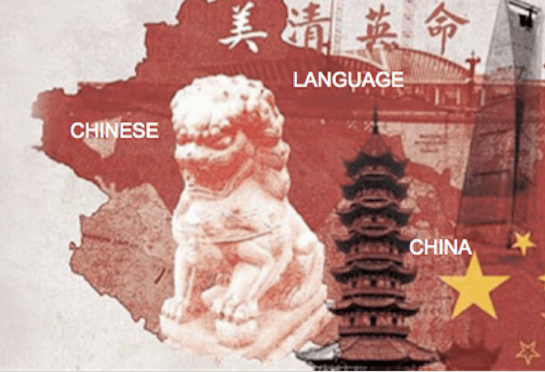 Note that the concept of Heaven (天; tiān) in China is quite different from that in Christianity. While in Christianity everyone has the chance to get in touch with heaven, in China the emperor was the „link” between the ordinary people and Heaven, and he was the only one that could directly communicate with Heaven by worshipping and offering sacrifices. 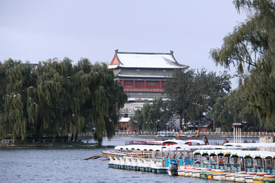 The park is the biggest one in Beijing, and offers pleasant walks between cypress trees. The main building is the Hall of Prayer for Good Harvest, where the emperor prayed for… yes, good harvest. Beihai Park (北海公元; Bĕihăi Gōngyuán): Beihai Park used to be a recreational area for the emperors, and is now a nice park with a huge lake and a small hill with a stupa on top. The park is pleasant for walks, and it is also possible to rent boats and row or pedal on the water for a couple of hours. This option is not open in the winter. Beihai is at the northwest of The Forbidden City, around 15 minutes away from the Hutong School by bike. Other places worth a visit are The Summer Palace (颐和园; Yíhéyuán), which was originally built as early as the 12th century, but became a luxurious royal garden providing entertainment opportunities for the members of the imperial family. It is also a part of the UNESCO World Heritage. It is the largest royal garden in Beijing, ¾ of which is water, and the palace consists of more than 3000 structures, including pavilons, corridors, bridges etc. The Old Summer Palace (圆明园; Yuánmíngyuán) was built by European Jesuit architects whom the emperor invited, and burnt down by European troops a little later (who were definitely not invited) in the late 19th century during the Opium Wars. It was once the largest and most magnificent garden in China during the Qīng dynasty, but now it is but a deserted place with ruins all over and a big lake in the middle. The Lama Temple, or Yōnghégōng (雍和宫) was originally the residence of Emperor Yōngzhèng of the Qīng Dynasty when he was only a prince, but later was changed into a monastery. 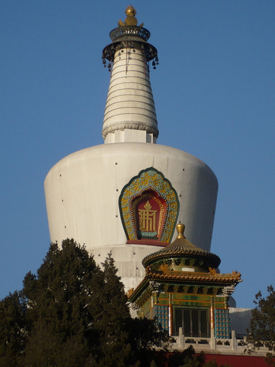 It is the biggest one devoted to Tibetan Buddhism in Beijing, and has a giant standing Buddha in the rear building which was supposedly carved out of a single piece of wood brought from Nepal and the building was only built around it later. Just opposite the entrance of Yōnghégōng is a narrow lane with trees on both sides, and Beijing’s one and only Confucian Temple (Kŏngmiào; 孔庙) can be found here. It is a much more silent and smaller place than the Lama Temple, but has a very friendly atmosphere. Don’t miss the library at the back of the building complex, which consists of the Confucian Classics carved on huge pieces of stones. It would be impossible to list all the interesting sites in Beijing, so if you have any questions, feel free to ask any of our staff. We will also organize excursions and visits to some interesting places in and around the city. Want to see more of Beijing? Explore these Beijing pictures taken by one of our alumni students.